Every year we do something for my fiance, who is from the states, for forth of July. I know how patriotic he is so I try to have all the things he asks for that day. 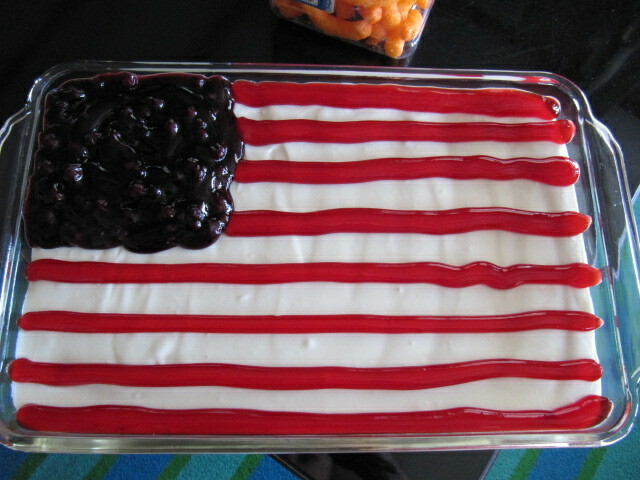 This years request was a bbq, fireworks and an American Flag Cheesecake. BBQ was fabulous, Fire works were great (even though we were almost eaten alive by mosquitoes!) and the cheesecake was oh so good! He loved it, as did everyone else, it was very tasty!